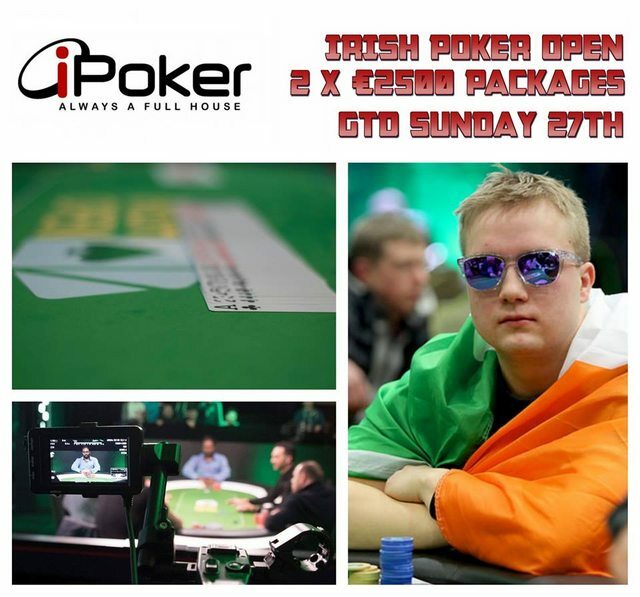 Secure your PACKAGE to the €1,000,000 GTD Irish Poker Open this Sunday on iPoker with 2 x €2,500 packages GTD! Win your seat to the Irish Poker Open Main Event €1,000,000 guaranteed TONIGHT! €50 + €5 (Reg) Re-buy which has a 2 hour re-buy period! 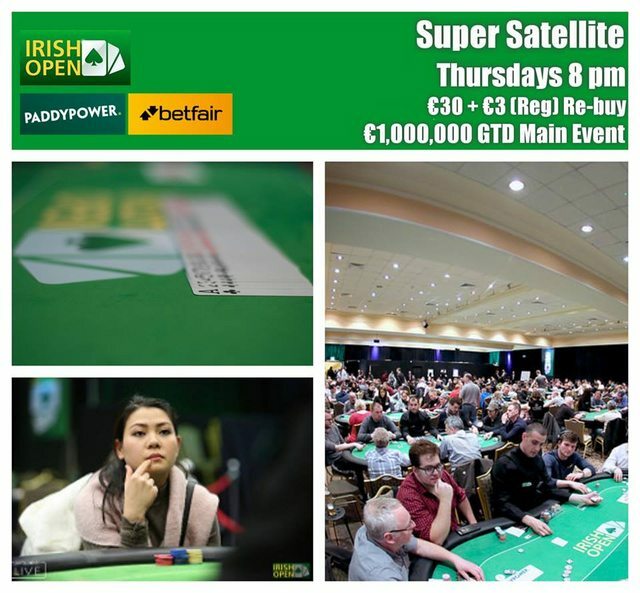 Get your Irish Poker Open Main Event €1,000,000 guaranteed Seat Tonight!! 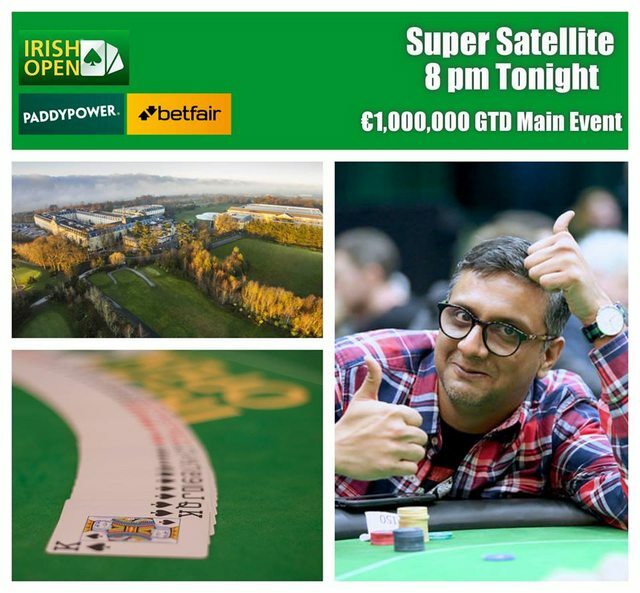 Paddy Power Poker and Betfair Poker have a Super Satellite each Thursday at 8 pm with 1 Seat GTD. €30 + €3 (Reg) Re-buy which has a 2 hour re-buy period! Irish Open Direct Seat Only satellites have now started on partypoker! The Final is a €109 buy in. Mini Feeders to the partypoker Sunday Final are cracking value! 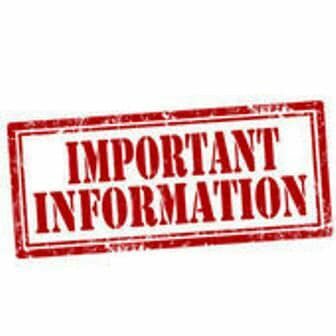 Play runs for 26 x 6 minute levels and then all remaining players carry their accumulated chip stack through to the Final Phase, which runs each Sunday at 9pm and has 20 x €1,150 Irish Open Seats GTD. Just bubbled a sat and this happened the hand before. I've emailed support. Could someone on here look into this in case they don't get back to me. Don't have the hand history cause it wasn't my table but have these details. mlp_aidan was all in for 1 ante on the bubble. Then jaysrfc iso raised from small blind. He had 54h!! The other two players folded and it went heads up. The only reason he would do this would be to give the all in player a better chance of surviving. This is obvious collusion and cheating!! Last edited by danutpeddler; 11-02-19 at 06:31. Hard to be sure without knowing the villain stack size. Not obvious collusion as seems a good spot for villain to pick up cheap chips as the other two players are not showing strength. What time approx did the bubble burst? sb (8mill) raise to 2mill got hu w ante guy! On the bubble for a Sat? I smell a rat. Hey Tom, I was one of the lucky 20 to bink a seat yesterday (I finished 6th, just folded the last 5 orbits). I saw this hand take place on another table (had it open) and made a forum account to agree with you. People were limping in to eliminate the shortstack that had to decide to go with hand right then and there or be blind all in on his next ante. The person with 54 hearts had absolutely 0 incentive to build a bigger stack, with his chips he was 100% safe. The only reason for him to do this raise is to help his buddy. For me it didn't matter since I knew I was getting a seat anyway, but if I was the one bubbling I would've been upset at this collussion as well. Besides that also a question on my own behave; where can I find my ticket? I didn't receive an email from party and I don't see it in 'my tickets' on the client. Cheers from taking the time to post. 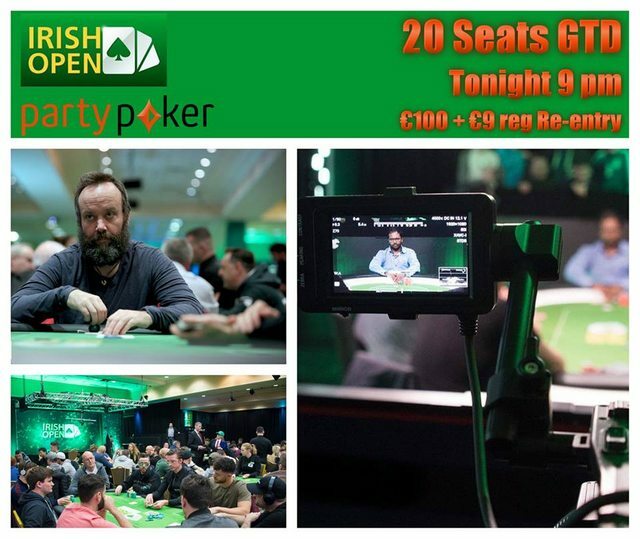 Guaranteed Seat to the Irish Poker Open €1,000,000 GTD Main Event on Paddy Power and Betfair Tonight at 8 pm! Both clients host the €50 + €5 (Reg) Re-buy which has a 2 hour re-buy period. Can you book your seat to Main Event tonight? Anyone know roughly the finish time of this rebuy the last few nights? Last edited by Irish Poker Open; 12-02-19 at 19:44.
just wondering if cash games would be running 24/7 during irish open week at citywest? from other years there is action around the clock at norwegian. just wondering if i go from 9am - 5pm while herself is at work will there be any/much action? So it is okay for everyone to limp to make sure the all-in player is out (the definition of collusion?) but not okay for someone to raise to isolate and take all of the spare chips, even if it helps the all-in guy? Smacks of sour grapes to me! Either all collusion is wrong (i.e. they shouldn't be limping) or it was all okay. Perfectly ok, if a tad idiotic. Unless they are colluding together (i.e. offscreen on skype/phone etc). Multiple limpers are not colluding as they are not in contact with each other, its just in-game tactics.